French Polynesia, an overseas community of the French Republic, has been autonomous since 27 February 2004. Moreover, with effect from 3 March 2004, IP rights which were filed with the French INPI (National Institute of Industrial Property) have no longer covered French Polynesia. However, a system for the recognition of such IP rights in this territory has been established. Initially, rights filed before 3 March 2004 benefited from automatic recognition in French Polynesia, rights filed between 3 March 2004 and 31 August 2013 could benefit from optional recognition, and for rights filed on or after 1 February 2014, a claim of extension to French Polynesia was required at the time of filing or renewal. This therefore contained a 'grey period' between the 1 September 2013 and 31 January 2014, so causing a legal void for rights filed between those two dates. The Polynesian authorities subsequently rectified this deficiency, by deciding that the period of optional recognition now extends from 3 March 2004 to 31 January 2014. Any French patents, utility certificates, trade marks, designs or semiconductor topographies filed at the INPI during this period will therefore benefit from this optional recognition. - For rights filed, renewed or maintained at the INPI before 3 March 2004, automatic recognition remains in place: all such IP rights automatically cover French Polynesia as well as France, without any additional requirements being necessary. - For rights filed, renewed or maintained at the INPI between 3 March 2004 and 31 January 2014, a system of optional recognition exists. All such IP rights must be the subject of a recognition procedure in order to cover French Polynesia. This procedure, which involves the simple payment of an official fee, could be effected until 1 September 2015. 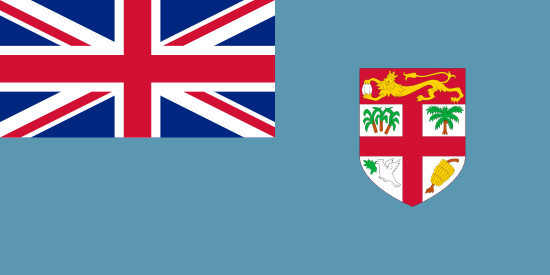 - For rights filed, renewed or maintained at the INPI on or after 1 February 2014, it is possible to extend those rights to cover French Polynesia, but this must be requested at the time of filing the application, renewal or maintenance at the French trademark Office and the necessary official fee must be paid. Please note that any renewal or maintenance application filed in French Polynesia must relate to a right which is already valid in French Polynesia. Therefore, a request for optional recognition of the right in French Polynesia must be lodged before the renewal or maintenance application can be effected. French Polynesia, an overseas community of the French Republic, has been autonomous since 27 February 2004. Moreover, with effect from 3 March 2004, IP rights which were filed with the French INPI (National Institute of Industrial Property) have no longer covered French Polynesia. However, a system for the recognition of such IP rights in this territory has recently been established.